After falling in love with all things sewing and design related at a young age, Kimberley went on to study and complete Fashion Technology and Design. 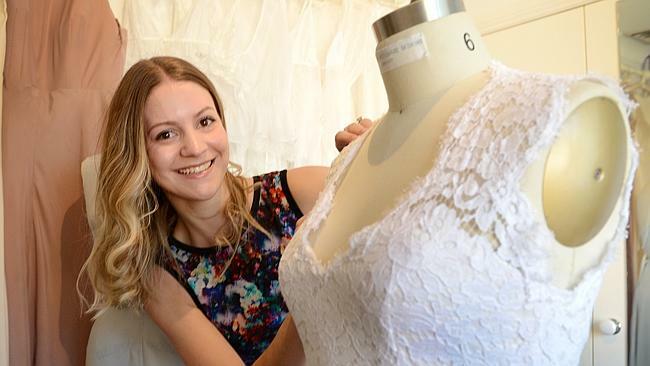 After excelling in her fashion studies Kimberley made the move to Costume Design; undertaking an intense four year course under some of Australia’s leading tailors, pattern-makers, milliners and designers. A successful career in the costume industry was established, including work in the exclusive costume departments of Baz Luhrmann’s ‘The Great Gatsby’, Channel Nine’s ‘Underbelly: Razor’ and Opera Australia’s ‘La Traviata’ opera on Sydney Harbour. 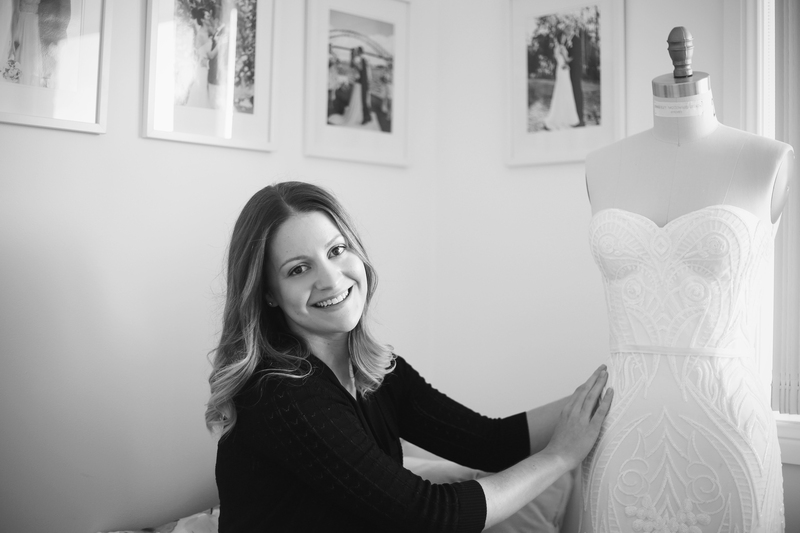 Working as a Bridal Stylist in between costume contracts enabled Kimberley’s love for the bridal industry to grow and develop, eventually leading in to full time work. Kimberley Woodward Designs was established in 2012 after finding the bridal couture market was lacking in high quality, custom made gowns which were designed and made from beginning to end by the one skilled artist with a true love for their work. 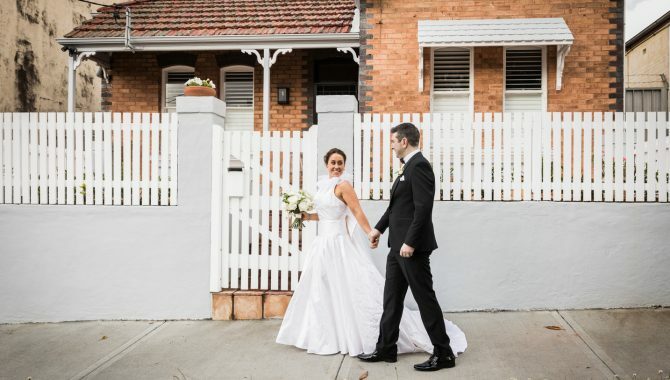 All gowns are custom made from initial design process through to completion by Kimberley alone, with fittings held in an intimate home studio in the Sydney, Hills district. Only the highest quality techniques and materials are used, and she is more than happy to tailor gown designs around an individuals personal budget – a rare and unique asset. Kimberley’s ability to cater for all body types is a testament to her high level of technical knowledge and skill when it comes to tailoring, pattern-making and design. “From the very first appointment through to the final fitting, Kimberley was gentle, sensitive and brilliantly creative and we simply could not have been more happy.” – Karen, 2015.